served as inspiration for Martin’s latest project–a pair of beautiful candlesticks. 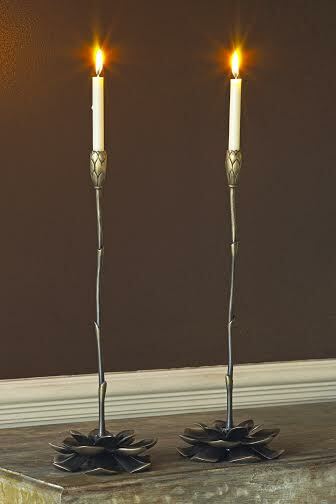 Delicate in appearance only, these candlesticks are cast in solid bronze and measure 14″ high and 6″ wide at the base. They accommodate a “chime” or processional candle with a .5″ diameter. This unusual size can be purchased from specialty shops like General Wax in North Hollywood, California. 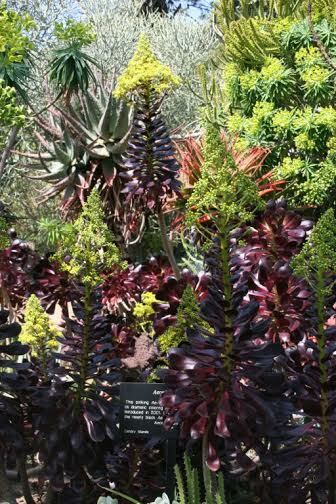 The candlestick shows the succulent just before it flowers with the flower stem serving as the “stem” of the sculpture. The concept was largely based on a succulent similar to those in the Echeveria family of succulents, specifically the ‘Black Prince’. You can read more about this plant here. This candlestick was originally designed for our home and we then gifted a pair to our close friends on their wedding day. We are hoping to use the design to create a larger candle arrangement that will feature a larger central succulent surrounded by small buds and the center piece would use a more standard sized candle. 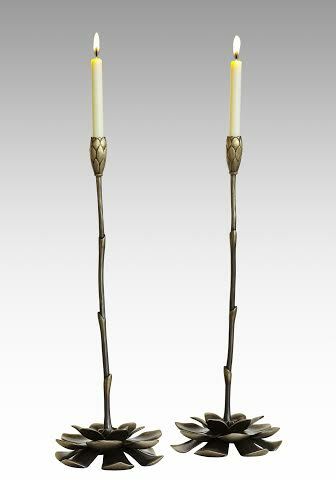 Here are a couple more looks at this exquisite candlestick. To view our entire collection of architectural hardware please visit our site at http://www.martinpierce.com. 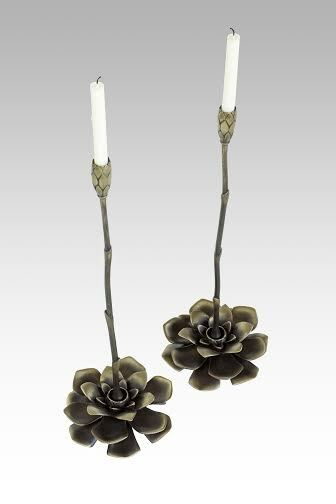 This entry was posted in bronze sculptures, hospitality design ideas and tagged bronze candlesticks, candlesticks for taper candles, solid bronze candlesticks. Bookmark the permalink.